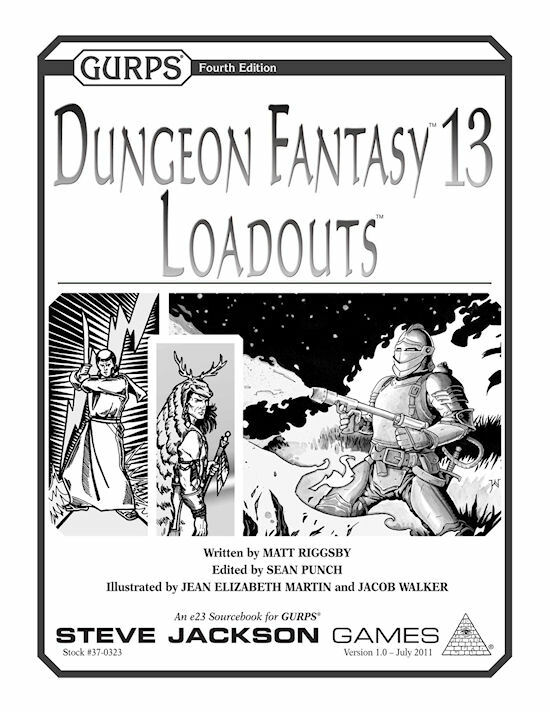 Enter Dungeon Fantasy 13: Loadouts, which does for gear what character templates do for abilities. 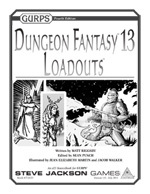 Simply look up your delver's profession (anything from Dungeon Fantasy 1-12) and pick a few lenses and options to get a decent set of equipment for him – all the armor, weapons, and other gear he needs to get out there and start having adventures. Leave the accounting for later, when you come home with the loot!